So here's a little more on the switch hardware, what I know and what I don't. It started with this photo by a photographer I don't remember unfortunately, in August 1949. One of the things that jumped out at me, pretty much from the beginning, is the track and switch hardware, and the trackwork itself. 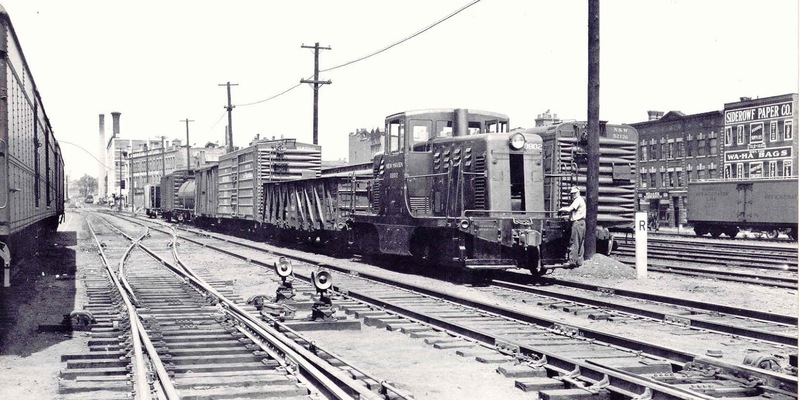 Part of this probably has to do with how much track, and how few trains you see nowadays railfanning. But it's also in the forefront of photos like this, just as model trackwork often is in layout photos. Later on, we came across this slide from moments earlier. What's front and center is the switch hardware for two crossovers. We can clearly see the small signal box (with the rounded cover) in front of the rear switch stand, along with the junction box where the signal line goes underground. On the front ties is the rodding that uses a crank and a connecting rod that is as large as the connecting rod from the switch stand itself. When you zoom in on the first picture (I need a better scan, but you can see it on the original), there is a small curved metal connection at a right angle at the end of the point closest to the signal box. This is where that connecting rod is attached to the points, and is much smaller than the connecting rod from the switch stand and the rod that runs along the tracks. 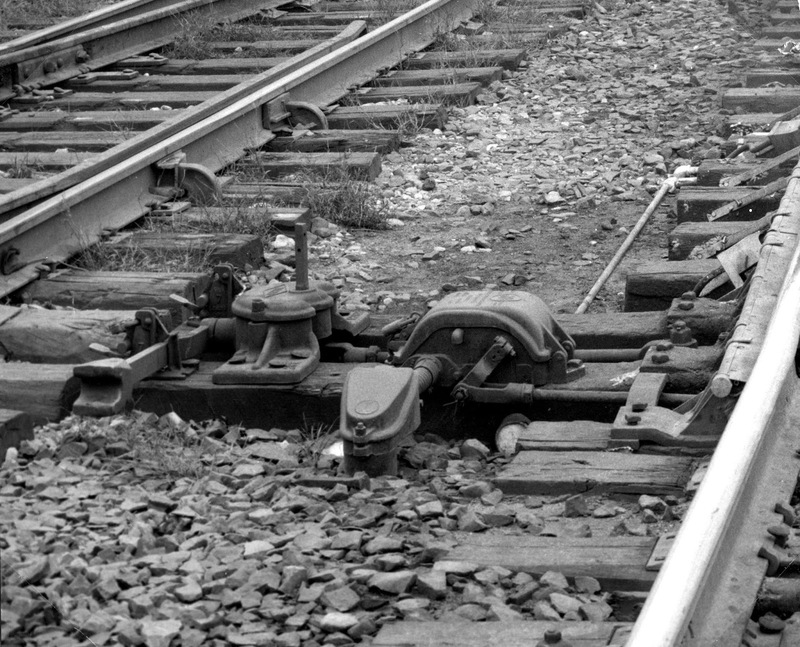 Just to the right of the switch stands, on the adjacent track, is a small cylinder with wires apparently welded to the tracks. Part of a signal circuit? 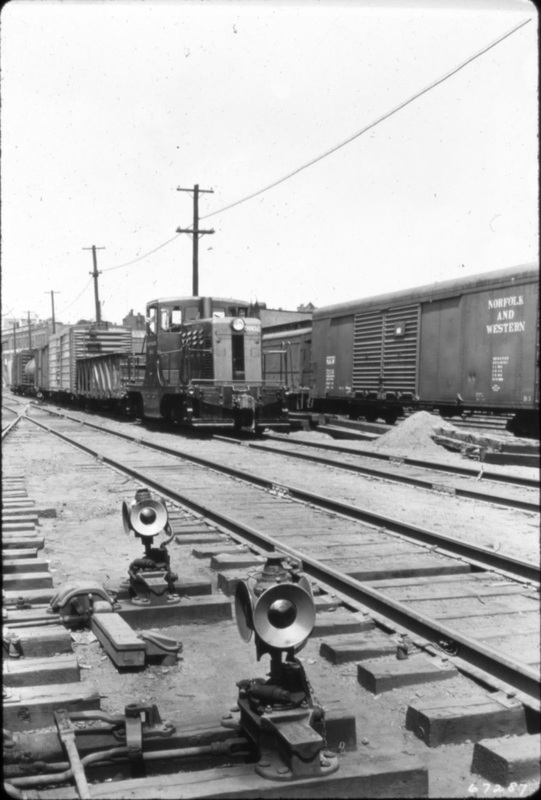 The crossing gates at this time were still controlled manually so it couldn't have been for those. The following picture shows the rodding coming from a signal box on another switch at an unknown location on the New Haven. It's much smaller, and you can also see the strap steel brace that keeps the two ties in alignment (this is also visible on the first picture, next to the signal box that is on the left side of the tracks since the switch rodding is taking up too much space on the right side. 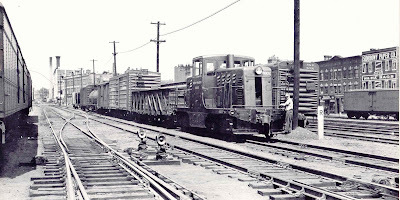 I will also note that the rodding that runs alongside the track is only on the crossover that connects the Berlin Line to the Highland Line. None of the other crossovers have them. At this point I'm not entirely sure what they are for, but I do expect that I can model their appearance. Although Alexander Models has a signal box, it's the wrong one. Details West has a switch stand set that has the signal box (SS-914, although I think SS-915 also has the details). For the switch stands themselves, the Rapido ones are a no-brainer for me because they were modeled after the New Haven switch stands, starting with the tall stand that's in Bill Schneider's front yard. For the point rodding, the British modelers seem to have an edge. Here's a great page with more detail. Here's another using Model Signal Engineering parts. Here's an excellent post about using the Wills (Peco) rodding. For those who enjoy fiddling, here's an installation in 4mm (slightly larger than HO at 3.5mm) with functioning rodding. It doesn't actually throw the turnout, but moves when the points are moved, which is the approach I'll take if I decide to make it "operational." Check out the video at the bottom of his page. 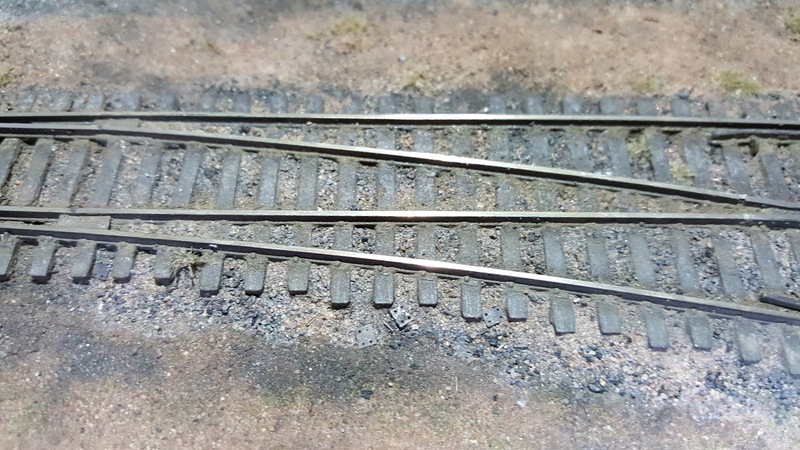 You can find the brass etched details at Brassmasters and the Wills (Peco) point rodding kit is a popular non-working plastic option, available at Model Railways Direct or via Walthers. There is also an extension kit. C&L Finescale has working point rodding for 7mm (O) scale. 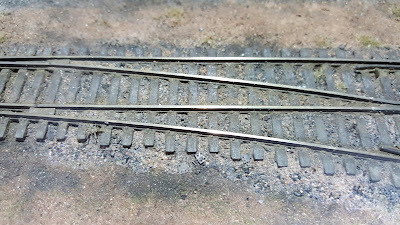 For other track details, I've been using a mix of parts from the Microengineering turnouts themselves, joint bars from Precision Design Company and Proto87 Stores. Thanks for the info on details and point rodding.